On view March 6, 2018 through November 8, 2018. Anthology 2014–2016 is an installation of thirty-four original collage-poems by the Chicago-based artist Tony Lewis. Exhibited at the Hirshhorn for the first time in its entirety, this series of evocative black-and-white works draws on an unlikely source—Calvin and Hobbes comic books. Lewis (b. 1986, Los Angeles) is part of an exciting generation of artists working to collapse the boundaries between different art forms. He has quickly established himself in the contemporary art world by forming a distinct visual vocabulary that integrates poetry and text with the properties of abstraction. 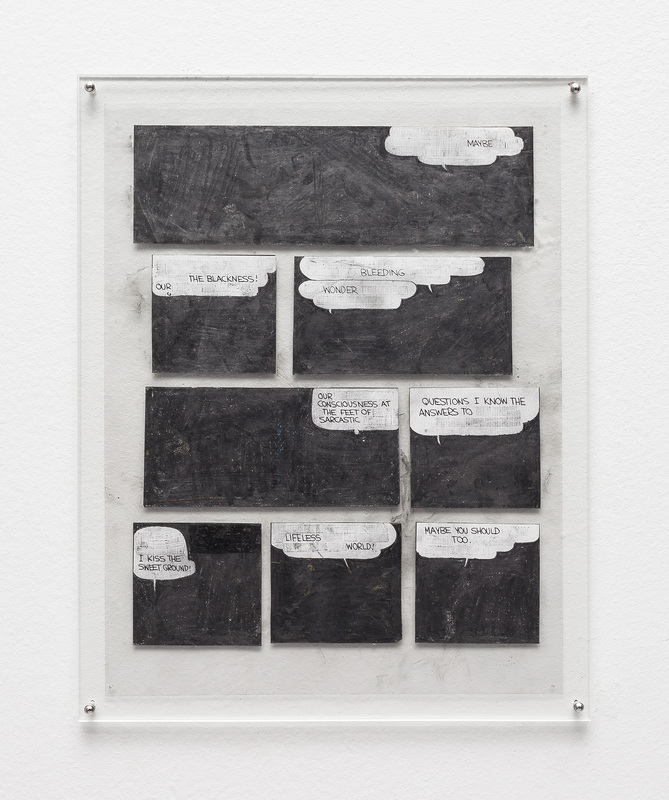 His monochromatic drawings pull from various visual and written sources, ranging from the personal to the political. Separating, rearranging, and erasing text, he shifts the way we read to open up new and unexpected meanings. To create Anthology 2014–2016, Lewis deconstructed hundreds of Calvin and Hobbes comic strips, reordered them, and ultimately shaped them into poems through a process of erasing, editing, and rearranging dialogue. Each poem is assembled as a collage of individual drawings that explores the collaborative nature of creativity and authorship, leaving meaning open to a range of interpretations. Tony Lewis. Courtesy of the studio. Photo: Mark Poucher. Tony Lewis (b. 1986, Los Angeles), currently lives and works in Chicago. Solo exhibitions of his work have been recently held at Shane Campbell Gallery, Chicago; Massimo de Carlo, London; Blum and Poe, Los Angeles; Museo Marino Marini, Florence; and Museum of Contemporary Art Cleveland. He has participated in recent group exhibitions at Boston University Art Galleries; Aspen Art Museum; HOME Manchester, UK; LAXART, Los Angeles; Studio Museum Harlem, New York; and Bowdoin College Museum of Art in Maine. 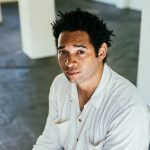 He is the recipient of the 2017–2018 Ruth Ann and Nathan Perlmutter Artist-in-Residence Award at the Rose Art Museum at Brandeis University, where his work is on view in a site-specific project through June 2018.